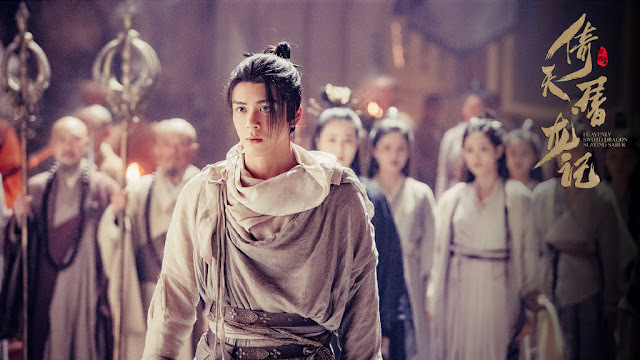 Being a wuxia classic, many viewers watching the newest adaptation of Heavenly Sword Dragon Slaying Saber 倚天屠龙记 already have preconceived notions of the story and the characters. Joseph Zeng Shunxi writes a long response to address doubts over his casting as the protagonist Zhang Wuji. He starts by asking, "Am I Zhang Wuji?" and says that he'd like to address everyone as the actor Zeng Shunxi. He says, "Being questioned is something that has never stopped since I started out as an actor. To be honest, this sense of insecurity scares me. My performance in The Birth of Actors, the dispute over casting in Heavenly Sword Dragon Slaying Saber and the problem of my eyes being too big. For me, instead of saying that these are repeated blows, these have become repeated opportunities and difficult challenges that have helped me grow faster. Of course, looking at my performance a year ago now, there really were many areas that are lacking. For example, the first time Wuji appears, I wanted to portray the contrast before and after the character matures. In trying to act young, he comes across childish which is a regret of mine. For example, in the big scenes at Bright Summit Peak (光明顶) and Wudang Mountain (武当山), there were many details and facial expressions that were not done well. My emotional state wasn't stable enough and I was rushing to say lines. Lastly, I would like to talk about the problem with my eyes being too big. If it has taken some viewers out of the story, I'm truly sorry. There was one year when my boss visited a senior in the industry who quietly advised that I should squint my eyes when filming heavy scenes. Yes, I have been experimenting and practicing squinting while acting. But this time, there were still many scenes where my natural reaction was to stare. This is my fault, I have always been trying to fix it, this is also a bottleneck that I will work hard to overcome to satisfy viewers. I want to say, even though I've said it many times: My eyes are naturally like this, given by my mom. 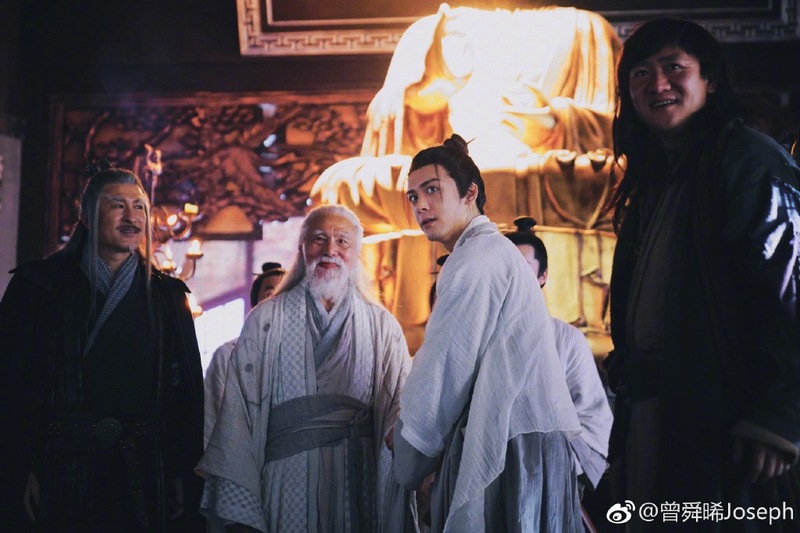 I share my thoughts after watching the show now that it's aired halfway, and wish to be able to discuss with even more Jin Yong fans and viewers to know how you feel. I am very willing to listen to your honest opinions, and aware that there have been many very good adaptations in the past. To have a remake with fresh ideas is indeed hard, and my acting is not mature enough. 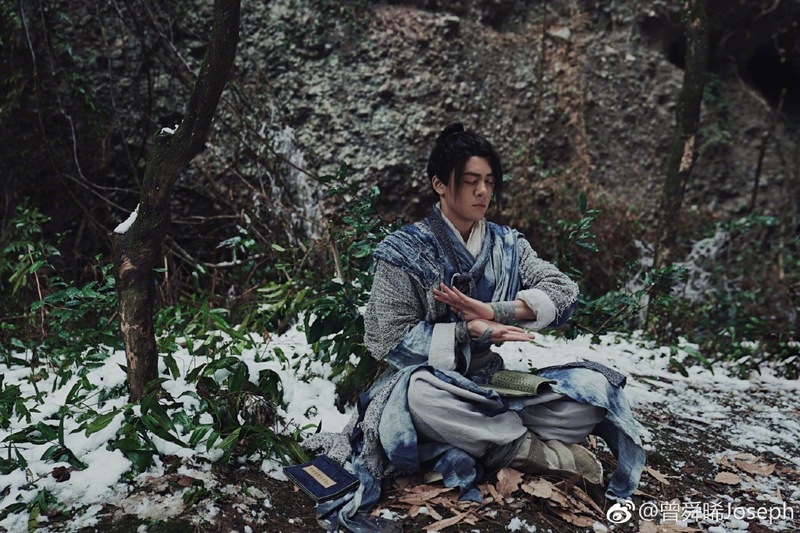 But I know that Zeng Shunxi at the time already tried his hardest, he loves Yi Tian (倚天), loves Zhang Wuji and loves being an actor. " He ends by saying that he did not come from acting school, but he wishes to become a professional actor. He is on the road and not in a rush. He says that he is Zhang Wuji. If he is not, then at least, he is Zeng Aniu. It is already unfortunate enough his looks is too childish. Or actually too modern to play in ancient dramas, and the slow motion fightings with bad CGI and an ugly sword make it much worse. But sounds like he has a like-able personality though.